Who doesn’t like a colorful garden teeming with beautiful butterflies? Whether the butterflies like to come to your garden is in your control, namely by the plants you put in. 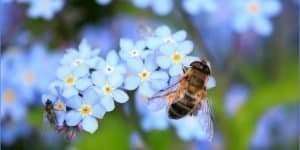 So we made a list of the best plants to attract butterflies. 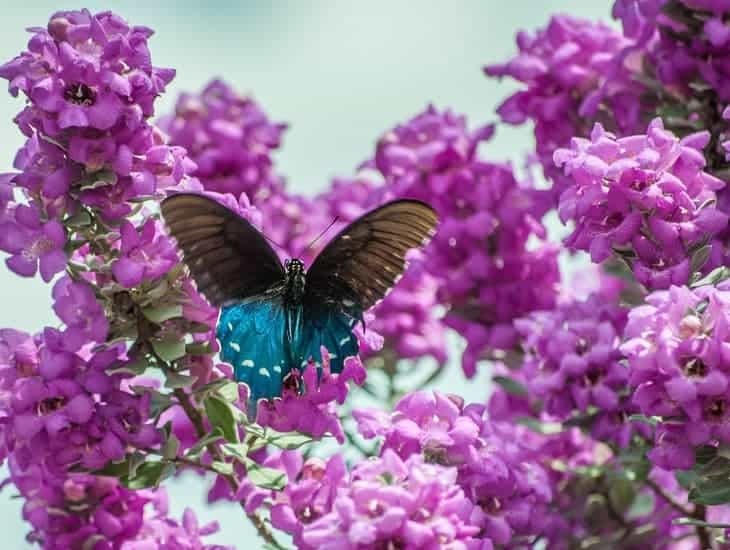 Don’t think you need to plant them all, one or a few of these varieties can be enough to have your yard teeming with gorgeous butterflies this summer! There are between 100 and 170 different kinds of this genus of flowers, found predominantly in Europe, Asia, and Northern Africa. 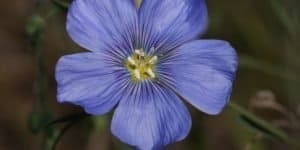 These types of flowers are typically small in nature – to the extent that many are found nestled in shrubs – and typically boast bright colors. 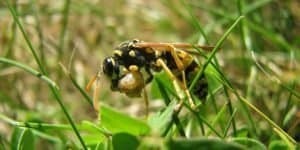 One of the reasons why these types of plants are great for attracting butterflies is the fact that they are a favorite food for caterpillars, naturally making them a great place to catch them in the process of metaphorizing. 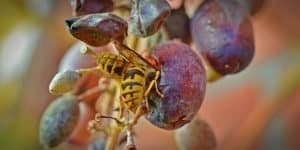 What’s more, while caterpillars may like eating them, they aren’t an attractive food source for other animals. 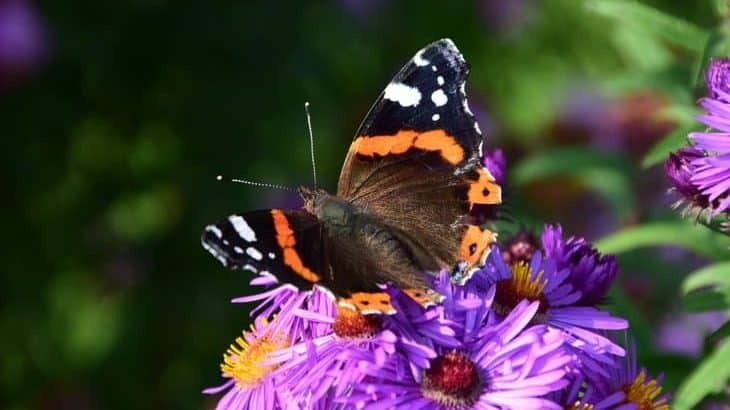 If you are looking to fill your garden with a flower that brims with purple elegance and can attract butterflies, asters are a great way to go. These types of flowers can be found throughout Eurasia, with the name of the flower coming from a Greek word for “star” – and so it should come as no surprise that these flowers feature brilliant starburst-shaped petal arrangements. 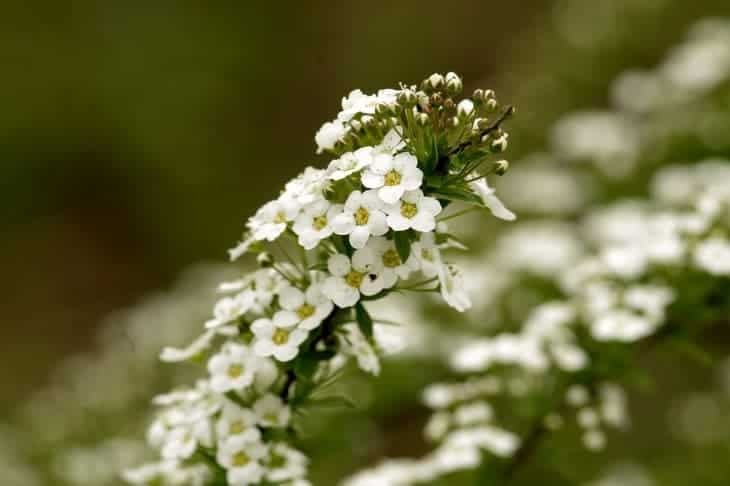 There are more than 600 different forms of this genus out there, and as with different forms of Alyssum, they serve as a popular food source for butterflies. 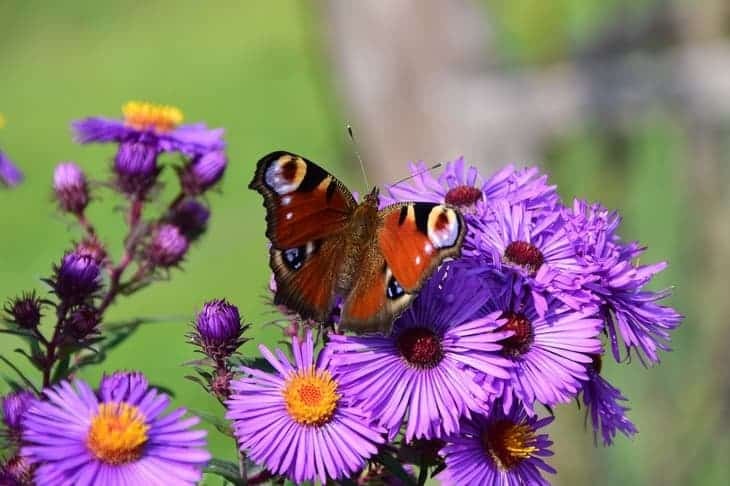 Certain types of aster have received recognition from the Royal Horticultural Society’s Award of Garden Merit. If you know Hamlet, you know “fennel and columbine” as the flowers Ophelia gives to Gertrude during her “Mad Speech” as part of her accusation of the Queen whilst in the midst of her own madness. The actual flower itself more than lives up to that illustrious cultural profile. 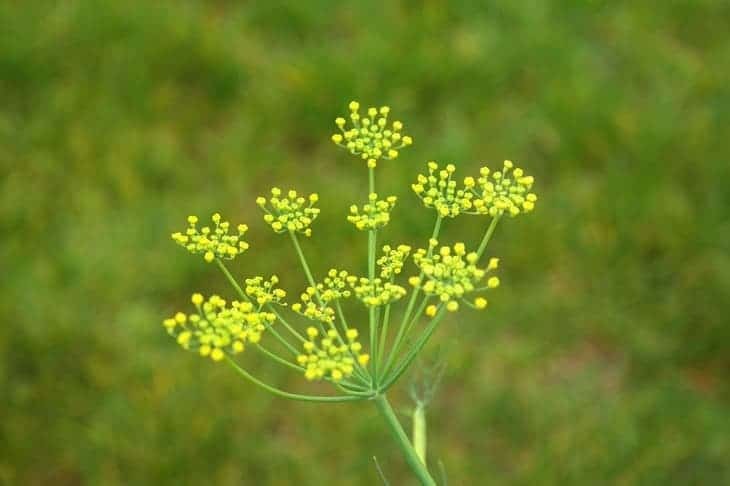 Fennel has a long stalk, typically comes with bright yellow, golden, or bronze-colored petals, has a long history of being used in herbal medicines, culinary traditions, and even absinthe. What’s more, it is highly produced and exported by countries around the world, with India leading the way by far, exporting more than 580,000 tons of it in 2014. One of the trends we can see appearing here is that butterflies are, unsurprisingly, most attracted to flowers which are brightly colored, and few fit that description quote so much as the aptly named “goldenrod.” This type of flower, as the name would indicate, features incredibly brightly-colored buds which are incredibly attractive for butterflies looking for plants that have lots of sweet nectar to offer. 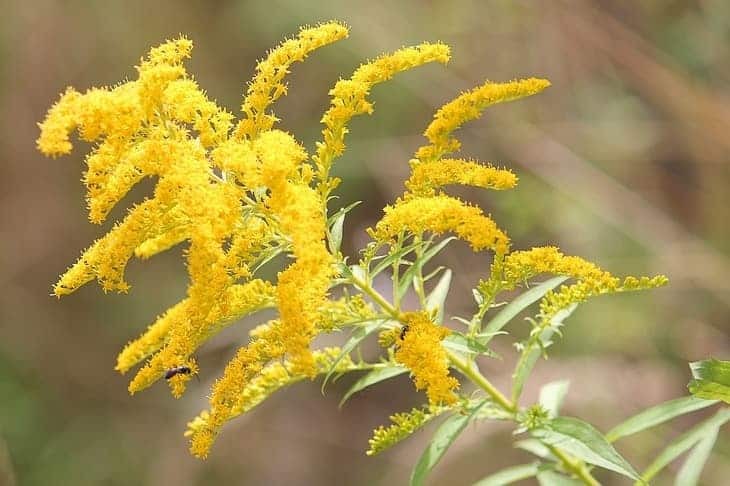 In addition, the sweet floral scent of goldenrod and similar flowers that is so enticing to humans is equally attractive to butterflies. Popular from England to Japan, hollyhock has long stood in both European and Asian cultures as a symbol of natural fertility and beauty. 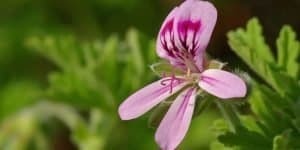 Like some of the other flowers on this list, it features lovely light purple petals and is an incredibly popular food source for caterpillars, thus making them a quite popular option for those who wish to attract soon-to-be butterflies. 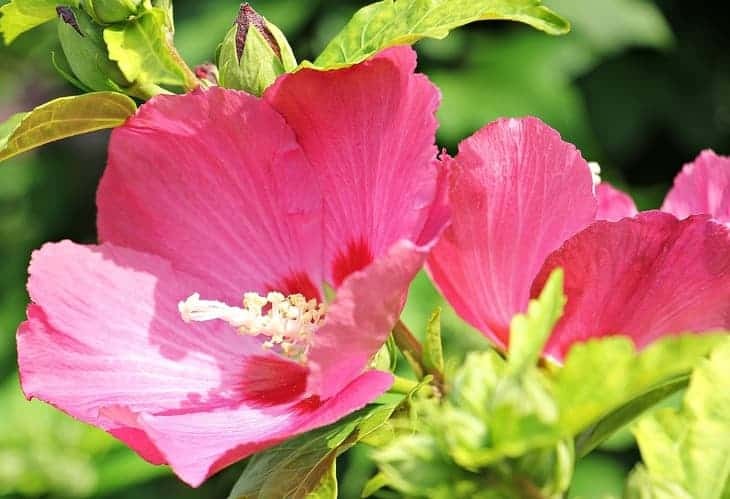 It is worth noting that while the term “hollyhock” is used to colloquially refer to both the Asian and European strains, Europe’s hollyhock is a different genus than its Asian counterpart. Culturally, this flower was a popular symbol of Shogunate Japan, making it a great choice for Japanese-themed gardens. Anyone who’s ever done even the tiniest bit of interior decorating will already be quite familiar with the lovely shade of light purple which is characteristic of this flower’s impressive petal arrangement. The scientific name for this genus is Lavandula, of which there are more than 40 different species flowering all around the Old World, from Europe to India to North Africa. It is one of the most enduringly popular and “romantic” of flowers in numerous cultures across the Old World. 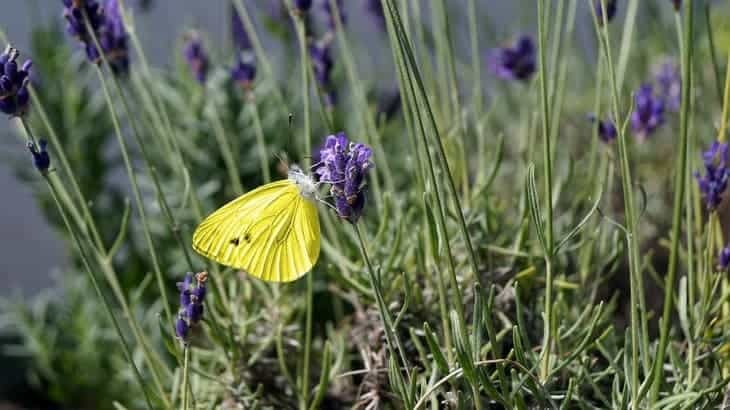 As such, it should come as no surprise that the brilliant bright colors and lovely scent which are characteristic of lavender are highly attractive to butterflies as well. Here again we have yet another bright yellow-colored flower, one with vivid enough coloring and a strong enough chemical makeup to be popular as a yellow dye, while the flower petals themselves are arranged in a tight circular pattern. Throughout the ancient world, marigold was used for medicinal and herbal purposes, and it continues to be popular in that regard today. 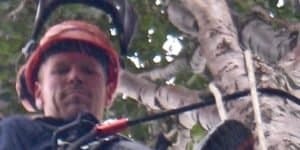 What’s more, this genus is incredibly hardy, surviving, thriving, and attracting butterflies in a host of different climates across Europe, Macaronesia, and Asia. 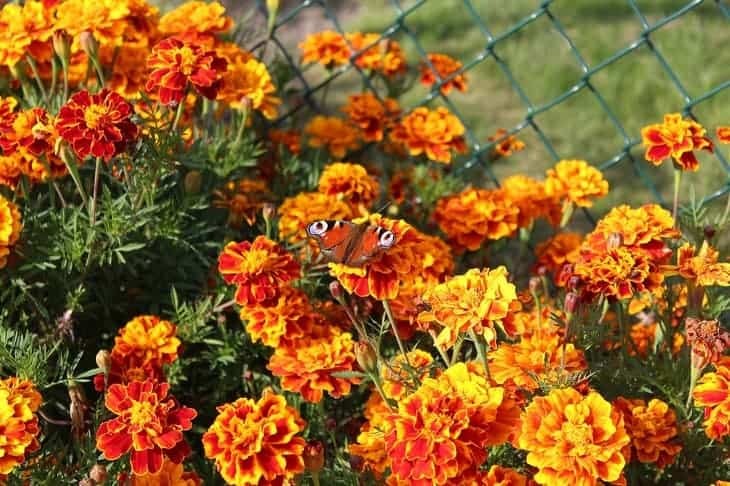 There are therefore many different types of marigolds from which to choose when searching for a plant which will attract butterflies. Anyone who has spent any amount of time in the kitchen knows oregano to be one of the most important herbs to have on hand, as it plays a huge role in culinary traditions across the world. 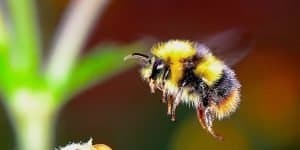 As such, it should come as no surprise that a flower with such strong culinary ties is yet another example of one whose floral buds provide an attractive food source for caterpillars, thereby making them ideal for attracting butterflies. 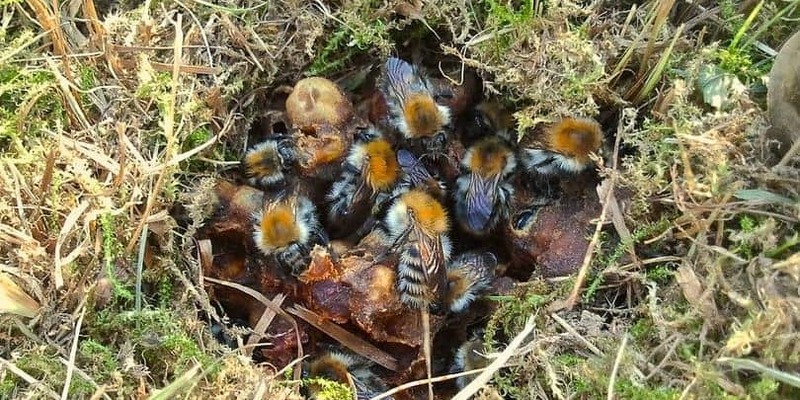 Oregano is also quite a popular option for those looking to cultivate bees. In addition, it has achieved the Royal Horticultural Society’s Award of Garden Merit. 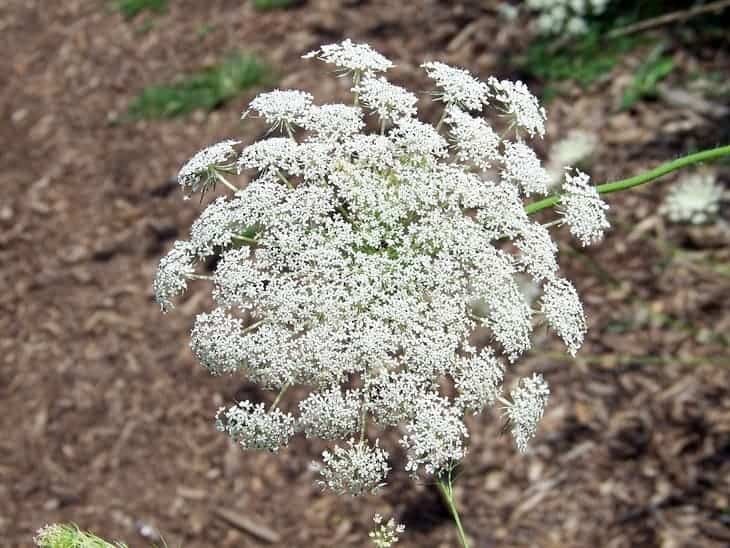 Whereas most of the flowers on this list are brightly colored, sporting bright yellow-gold or purple petals, Queen Anne’s Lace – the popular name for daucus carota – features a more understated, appropriately regal white hue. 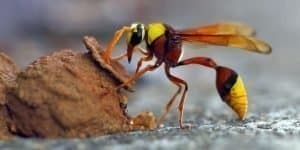 In addition, it is one of the more widespread genuses on this list, with the plant growing naturally in parts of Europe and Southwest Asia and later being introduced to and naturalized in North America and Australia by settlers. 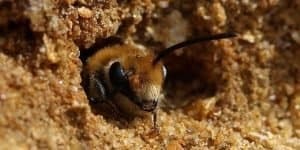 As the name implies, it has a strong cultural connection to royalty – named for Queen Anne of England or her grandmother Queen Anne of Denmark. It is another plant which attracts butterflies with its small clustered buds. “Parsley, sage, rosemary, and thyme” – whether you remember the lyric from its original Celtic folk song roots or as part of Simon and Garfunkel’s memorable 1960s version of “Scarborough Fair,” you know sage. 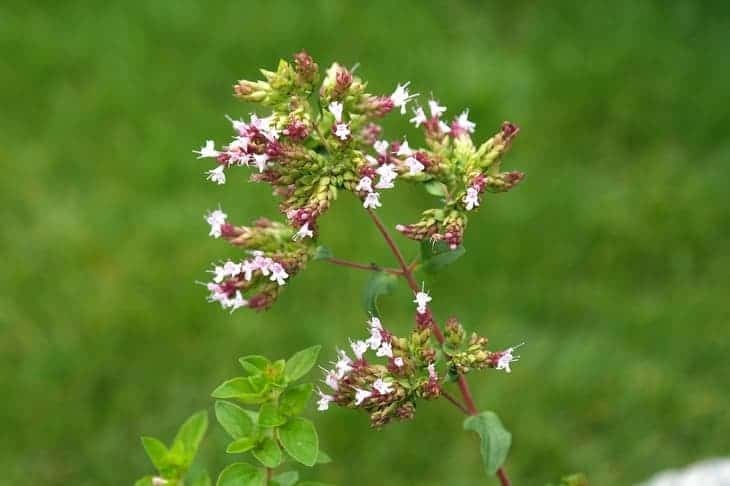 You also probably know it as being – along with the aforementioned oregano – one of the most popular herbs in Old World cuisine. There are many different variations of sage, with the plant being native to the Mediterranean and naturalized in many different variations around the world, with some of the most popular for attracting butterflies featuring light purple petals and long stems. 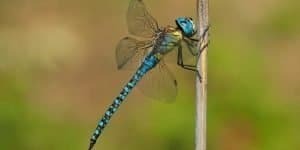 With many different variations, there are a wealth of different taxonomic choices available.